Satyr. A bald, bearded, horse-tailed satyr balances a winecup on his erection, on an Attic red-figured psykter, ca. 500-490 BC.. Wallpaper and background images in the ग्रीक पौराणिक कथाओं club tagged: greek mythology satyr. 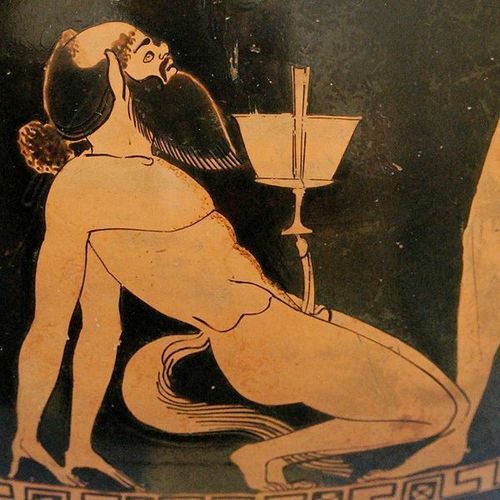 A bald, bearded, horse-tailed satyr balances a winecup on his erection, on an Attic red-figured psykter, ca. 500-490 BC.